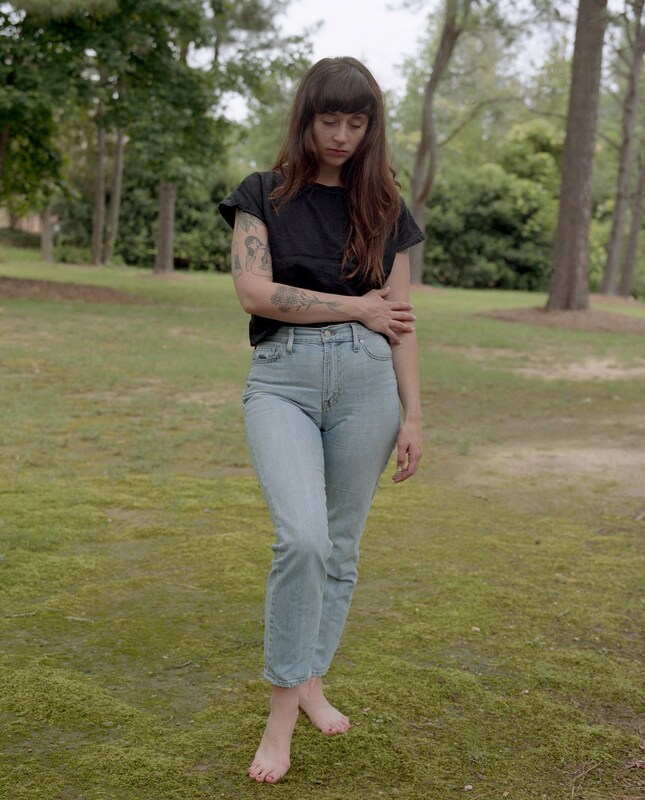 Waxahatchee’s Katie Crutchfield talks about her ridiculously good, deeply personal new record. Katie Crutchfield has, objectively, established herself as one of this generation’s most reliable songwriting forces. From the teen-punk tearjerkers of P.S. 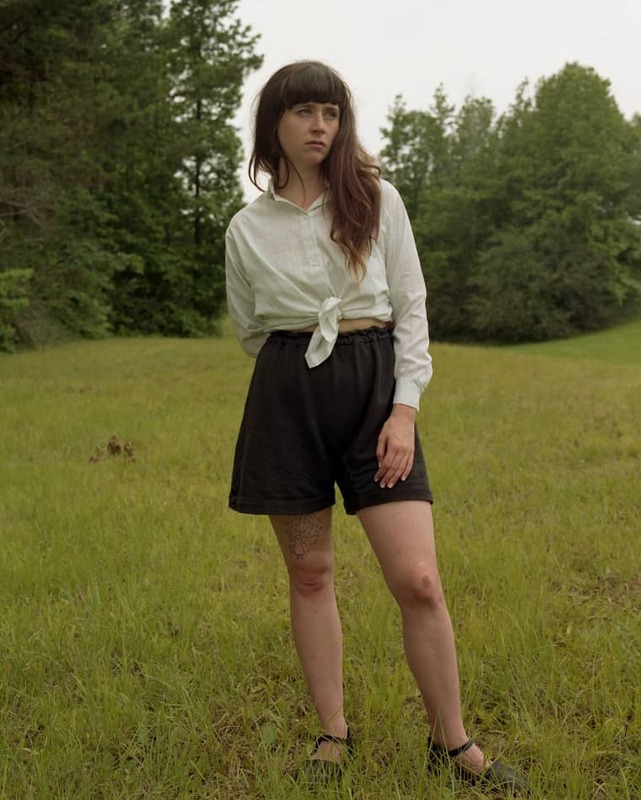 Eliot, the band she formed with her twin sister Allison in 2007, to her lonely-sounding early solo songs as Waxahatchee, the now 28-year-old Alabama native has made a full-on career out of channeling romantic angst into gorgeous, heartstring-tugging melodic rock. 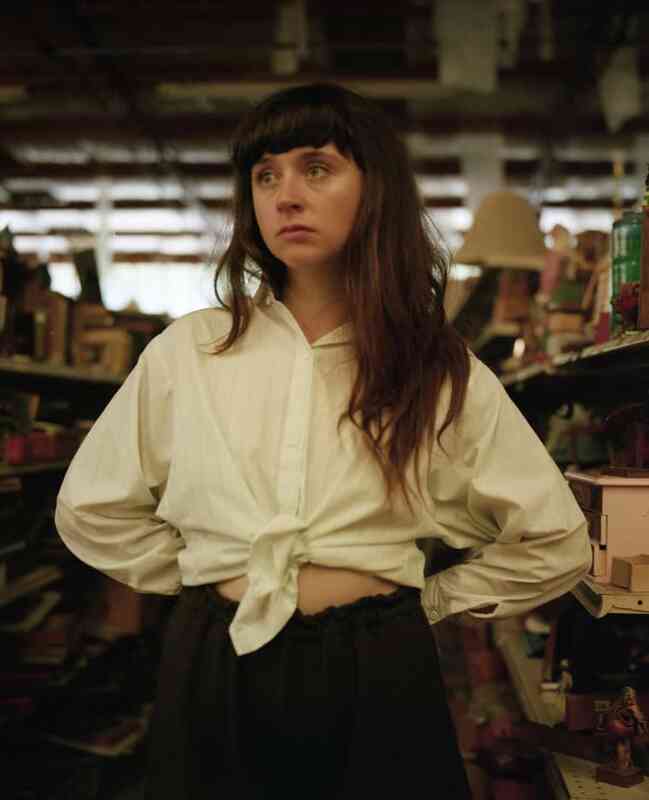 Out in the Storm, Waxahatchee’s brand-new full-length, out now on Merge, is probably Crutchfield’s most cohesive project to date. Slickly produced by behind-the-scenes legend John Agnello (Sonic Youth, Dinosaur Jr.), the album is centered around the dissolution of a toxic relationship, and feels almost conceptual in its focus. “Every song is about the same situation — but different phases of it,” she said on a recent early-summer evening, when we met on the rooftop of a mostly deserted Brooklyn bar. “It's about all the things that hit you at the end of a relationship, and the process of coming back to yourself." Crutchfield’s Southern lilt, almost nonexistent in conversation, is more noticeable on the record. You can hear it when she sings devastating lines like “I had to go, I put it out just like a cigarette/ I’ll never be the girl you love or trust or you respect,” on “Brass Beam,” a scathing highlight from the LP's middle section — and one of the year’s best rock songs, period. This is a depressing album for sure, but it’s also an extremely empowering one. And after speaking with Crutchfield about making it, I’m pretty sure that’s exactly how she wanted it. Have you been describing Out in the Storm as a breakup album? Other people have called it that, but I've refrained from doing so [laughs]. I can't control what other people call it. If that descriptor were to turn people off, it is what it is. I stand by the concept that there's never too much music about a certain topic. There’s always fresh perspectives. That's one of the things that's so cool about music in general. There's room for everybody to create, and there's room for everybody to consume. How crucial was sequencing the songs to you? For Ivy Tripp, I poured over that. But this record didn't have anything close to a track listing. It wasn't even vaguely mapped out until we were about to finish mixing. Now I think it's perfect, but I didn't really come up with it. I'm glad I had some guidance. I can be a little bit of a control freak but those are the moments when I'm glad I let go. I had certain places I wanted certain things, but, like, I thought “Fade,” the last song, should be first. But now I think it fits so perfectly last. The record plays out like a weird spectrum of emotions, where I'm frustrated and angry and ranting and raving. At moments it's really concise, and at moments it's really messy, and then the end is a breather. It's almost like you're having a fight with someone, and then at the very end it's sort of like, well, Okay. All I'm left with is the truth. The sad truth. Were you writing songs as this stuff was unfolding in real-time? There was a lot of space between me and the stuff I'm talking about. I don't think I could have written it in the belly of the beast. I didn't want to write songs that were too earnest. I didn't want it to be too much of a raw nerve, though I feel like "Brass Beam" is one that kind of snuck in. Lyrically it's more earnest than anything I've ever written. There's lines on it where I'm like, Ooh, that's really intense. But that kind of music needs to be out there. People need those songs when they're having a bad day. Were you looking back at journals or notes from the relationship, or were your writing from memory? Oh, it was all from memory [laughs]. I didn't forget any of it. Are you nervous about the subject of the songs hearing them? I had a really weird run-in with a writer who published who they think the songs are about, even when I refused to name that person. I got really pissed off. I'm not worried about the person knowing, and I'm not worried about my friends knowing — they all were there. But I hope that people won't get fixated on the context. I feel like I've been pretty generous with my experiences. I'm comfortable with people speculating, I'd just rather not comment. Did your demoing process change at all this time around? That process has never changed, since I was 14 years old. I have melodies in my pocket, and when I finally get a minute I'll sit down with a thesaurus and a notebook and a guitar and hash it out. When I have some space from that process it feels like some sort of weird magic. I don't really know how it happened, but it did. And I always have those moments where I'm like, Maybe it’ll never happen again. Ivy Tripp was possibly your “biggest” album, for which you got a lot of attention. Did you put any pressure on yourself when it came to following that up? More than ever before. It didn't affect my writing process, which is good. But yes — now that it's like, pressed and ready and everything's finished I've definitely felt a little bit like, Ugh, alright, here we go. But I have really cool fans. I feel like they will follow me. They'll come along for the journey. I hope. But it is kind of a weird place to be. It's not like I'm a brand new band. I have a body of work, and I have to hold this new thing up next to it and hope that people get it. It's definitely nerve-racking. Have you been thinking about the next album already? Not really in the context of actual songwriting, but I've been thinking about it. I really really want to make more country- or folk-sounding music. I really miss quiet music. I’m thinking American Weekend vibes but less, like, emo [laughs]. And slicker production. More country. Your album-release schedule has been pretty consistent the past few years. Do you foresee slowing down at all? I feel like it would make me feel crazy if I slowed down. I really like the chaos, being on the road. That's where I thrive. When I was 18, touring wasn't about anything other than meeting new friends and being at party in a new city every night. It was so exciting. Now, it definitely feels like work. Getting the group of people to tour with right is the hardest part, and I think I've got that right [for this upcoming tour]. Is having women around you important? It's all women and non-binary people in my band and crew. That's really important to me. It was just natural, because those were the people I wanted to work with. But when I thought about it I was like, That's sweet. It's gonna be really powerful to play these big-sounding rock songs, this big rock set, with all women and non-binary people. That's definitely not lost on me. It really stung me this year when I was looking at all the big festival lineups [and seeing mostly men]. It was like, People don't even care. People don't even try. What do you hope people take away from Out in the Storm about romance and relationships? I feel like it's a tale as old as time. The breakup. The frustration. The anger. The resentment. Being in that situation sometimes, even talking to your friends when you're having all those intense feelings, you can feel like a burden. I would love it if people, in those moments, would just listen to this record and feel somethin’, you know? It's a really powerful state to be in. There's so much good and bad in it. The grieving is so relatable, and such a profound feeling. On top of that, there's all this potential. It's sort of like starting over, in a way. That's such a weird, raw, powerful moment in people's lives, so when people hear songs about that they react and relate to it immediately. I know that I do. Those moments in my life are the moments I feel like I heard music most clearly. Out in the Storm is out now on Merge.